AgendaWise.com is one of my morning stops. When you read this article you will understand why. Weston Hicks nails it again and I wanted to add in a couple of videos I believe are nuggets to share. Since the Tea Party Awakening, conservatives in the Texas Legislature have been steadily gaining ground. The Awakening has been a high-beam spotlight, showing Texans which legislators keep the promises they all make. As it turns out, many in the bipartisan clan that runs the Texas House make promises to Texans during campaign season then legislate primarily for the lobby, doing just enough to stay off the people’s radar. They routinely sandbag issues they made promises on. Somehow they always run out of time and claim they’ll “do it next time”. Other issues are unseemly, contra the sensibilities of party blue-bloods. These sentiments, though at odds with the values in states outside the northeast, are alive in capitol cities all over the country – especially Austin. In the end, the Tea Party Awakening didn’t change Texans’ politics. It simply made Texans demand they get what they’ve been voting for. And it’s working. Then, the conservatives were systematically ridiculed and marginalized all session long. The crony crowd was determined to punish them for their attempt to win the House back for Texas voters. This was unsurprising behavior from Team Straus. When dealing with Democrats they meekly proclaim they are “fair to everyone”. Then, they are extremely vindictive to members of their own party with the temerity stand in earnest for the GOP platform they all claim allegiance to. That was the hard part of last session. The great thing about the 82nd Legislature was how incredibly influential the conviction conservatives were despite being daily made to feel like they had wasted their time running for office. This band of brothers was a standing reminder that the emperor had no clothes. Because they wouldn’t play along, they forced everyone else to legislate much more conservatively than they had planned to. These truth-tellers created a situation in which misbehavior from the crony crowd became fuel for primaries. Courageous conservatives kept everyone’s level of misbehavior lower than ever. This is exactly what Jim DeMint has done with his band of brothers in the US Senate. DeMint’s crew are treated identically – like useless scum who should just go home. In turn, they have the same effect on the US Senate as their Texas House counterparts. They make the other guys more honest than they want to be. This is why the crony crowd never forgets to scowl at the conviction conservatives – the conservatives are an annoying part of every decision they make. Ken Paxton is now strolling into a Senate seat. Even with the improvement, however, slimy budget gimmicks were used to cover up our over-spending and many conservative bills were sat on by leadership. The TSA bill was killed by parliamentary tricks, any and all immigration legislation was stuffed, school choice got nowhere, spending limits got nowhere, zero-based budgeting got nowhere, homeschooling parents still can’t make use of the public school athletic teams they pay for, and much else besides. In addition, gambling legislation Texans manifestly do not want was maneuvered all session long. The crony crowd then punished conservatives in redistricting. They were only successful in ousting stalwart conservatives Wayne Christian and Jim Landtroop after drawing them out of 80% of their districts. Even still, these two men could decide tomorrow to take their case to the new district and it would only be a matter of time before the district figures out they were deceived. In the end, the conviction conservative crew grew considerably. In truth, Team Straus was lucky more of them didn’t draw primary opposition. The speaker lost six of his committee chairs (committee chairs should be untouchable), and conservatives fared very well in open seats. Conservatives again demonstrated the striking “conviction discount” alive in Texas politics, in which people telling the truth need much less exposure to gain the trust of voters. In short, the effort of Texans to win back their legislature is working. Everything else we hear is spin. However, there is another dynamic at play in the conviction conservative crew. It can, with relative accuracy, be characterized as the difference between the old guard and the new guard. The Texas House was never without conviction conservative representation. Before the Tea Party Awakening they were small and seemingly insignificant, but they were never extinct in Texas. The Awakening has created a need for an attitude change in conviction conservatives. Before the Awakening it was appropriate for conservatives to be resigned to losing. These legislators stood up for what was right, but knew Texans weren’t engaged deeply enough to give them the support they needed. The Awakening changed all of that. The new guard has a path forward, sees it, and is ready for battle. They know it will require toughness and faith, but they’re determined to follow it. The new guard recognizes the advantage of a much larger, more deeply engaged, and increasingly savvy grassroots. Happily, most of the old guard have adjusted to the post-Awakening reality, showing the boldness the moment requires. 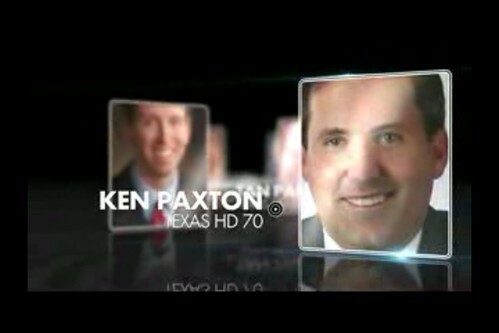 Ken Paxton is an example. Bryan Hughes is another. Bill Zedler is ever the happy warrior. But there is another kind of old-guard conservative, exceedingly rare, who has trouble adjusting to the new reality. This type is head shy, a posture more acceptable in an previous political age. Decision making for this type is dominated by fear of upsetting the ruling clan and revulsion at being in the legislative wilderness again. It’s a shame because, while the band of brothers is on the march, fear threatens to cause the moment to slip away for this type. The 101st Airborne Division’s Easy Company of World War II was depicted in “Band of Brothers”, a popular HBO mini-series. Easy Company was at the tip of the spear in Europe, leading the way the entire time. Their heroism is legend, their sacrifice was huge, and their place in American history is secure. There was a character in Band of Brothers named Captain Sobel. He trained Easy Company in boot camp. By all accounts, he was as good a trainer as the United States Army had at the time, and deserves credit for the vital role he played in preparing Easy Company to make history. However, leadership in the field was not Capt. Sobel’s gifting. In fact, in his brief time commanding Easy Company in Europe he got a lot of good men killed with his deeply anxiety-ridden, nearly-paralyzed leadership style. Captain Sobel was eventually relieved of his command. Everyone has a role to play as Texans’ take back their government. Time shows us the shape of that role. Voices Empower has partnered with Engage America and the Freedom Trailer Teams to Educate, Inspire and Motivate. We’ve just begun to fight! We’ve learned a lot and we’ve kept our list of NAMES! My state rep spoke negatively about the 40 new reps! And by the way, the legislation he is working is a “secret” according to his staff director. We will remind the staffers they work for…We the People. AgendaWise.com is one of my morning stops. When you read this article you will understand why. Weston Hicks nails it again and I wanted to add in a couple of videos I believe are nuggets to share.